The WP Wood Processor improves productivity, ergonomics and minimizes handling. All you have to do is cut. Processing up to 1.5 cords per hour with only one person, the Wallenstein WP Wood Processor saves you time, and money while reducing the risk of physical strain. Handle full-length logs using only a winch. Cut to length while standing straight. Split and stack without heavy lifting. 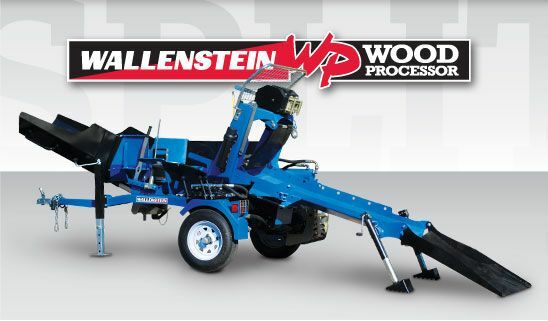 View all the Wallenstein Firewood Processor models and information. Click here to download our full brochure.